There are currently 84 million people in the United States living with a prediabetes diagnosis—left untreated, prediabetes can turn into full Type 2 diabetes within 5-10 years. While being told you are prediabetic can be scary, Healthy Habits for Managing and Reversing Prediabetes shows you 100 simple habits that you can implement in your daily life to lower your risk of developing diabetes. 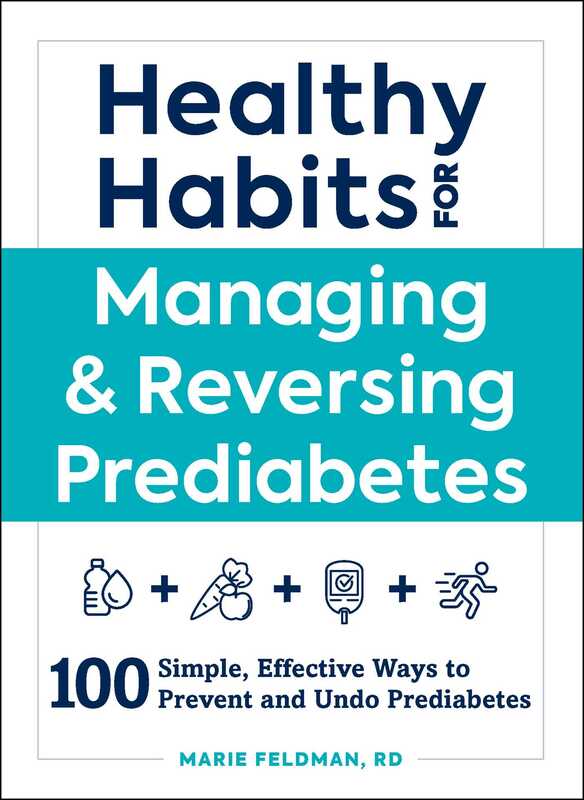 Healthy Habits for Managing and Reversing Prediabetes is packed with easy, straightforward tips to help you stop diabetes in its tracks. The secret? It’s all about lifestyle changes—from eating less fat to incorporating more vegetables into your diet to exercising 150 minutes per week. This handbook will show you how easy it is to apply these changes and many more into your routine to live a full, happy, and healthy life. These simple modifications could be the difference between a healthy diabetes-free life and a diabetes diagnosis. You can control your fate—start now.